Farmland as an investment has outperformed the S&P 500 for over the past 50 years, but with far less risk and volatility. It is relatively secure; not only in providing growth, but also in providing an annual payout greater than the S&P 500 or annual bank interest rates. Estimated annual land appreciation ranges from 5% – 13% and annual farmland rents average 3% – 7% of land value. Also, the macro-economic trends for this investment class are excellent. Farmland is expected to increase in demand, while the supply of quality US farmland is diminishing, each driving prices up over time. Because farmland is not correlated to other asset classes such as; housing, real estate, commodities (corn, wheat) or stocks, it also provides attractive diversification. To demonstrate its diversification, for example, during the recent recession, housing, real estate, and stocks all plummeted, but farmland grew in value during this time. With current and future market and population trends, farmland has been the top asset class for the last 20 years and will continue to outperform for many years to come. Productive farmland is income producing and if paid for with cash, should never go to zero, lowering the over-all investment risk. Farmland investment companies rarely take on the risk of actually farming the land. The investment company will rent the land out to a farmer, again reducing the “farming-commodity” risk for the investor. The investment company is paid annual cash rents from the farmer which is then paid to the investors. Combined World population and emerging Middle classes in China and India will continue to increase the demands for American Farmland driving farmland values up. As long as we need energy and food, farmland will continue to grow in value. Farmland is a limited commodity, and the amount of good farmland is shrinking. There has been a loss of about 300 million American farmland acres in the last 66 years. Proven farmland continues to decrease with continued urban and suburban development, erosion and drought. In fact, some of the once most productive farmland in America is now literally under housing developments, roads, and mall parking lots. In simple terms, the economic law of supply and demand is at work on American farmland. 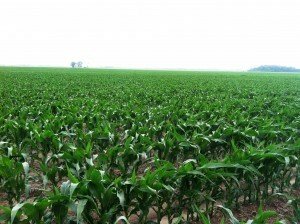 The demand for good farmland is rising and the supply of good farmland is diminishing. When the demand for a product goes up at the same time as the supply of that same product is going down; values increase exponentially.